Star Trek : Could Replicators Become Reality? While the Holodeck, communicator badge and warp drive were all pretty cool gadgets aboard the Star Ship Enterprise, we reckon the best Star Trek gizmo was without question, the replicator. Originally used to generate food and drink from thin air, the Enterprise crew ended up using this nifty contraption for all sorts of things as they boldly went where no man had gone before. Replicators might sound the stuff of science fiction, but they’re fast becoming a reality thanks to 3D printing. These revolutionary devices can now produce thousands of objects at the touch of a button, bringing us one step closer to replicators becoming a reality. 3D printers may not be quite as fast or as complex as replicators, but at the rate at which the technology is moving forward, it won’t be long before we can use these gadgets to create any object on demand. Just last month, HP introduced two revolutionary new 3D printers to the market, each with the potential to boost print speeds and build intricate objects ten times faster than the next best 3D printing machine. And, now that NASA has proven that 3D printers work in space, the possible uses for the technology are as limitless as the universe itself. From food and drink, to spare parts, uniforms and even living objects — 3D printers are at the very forefront of pioneering new space technologies, and the sky really is the limit when it comes to where the technology might go next. If you enjoyed this feature and would like to find out more about 3D printing, don’t forget to check out the rest of our articles on 3D printing. 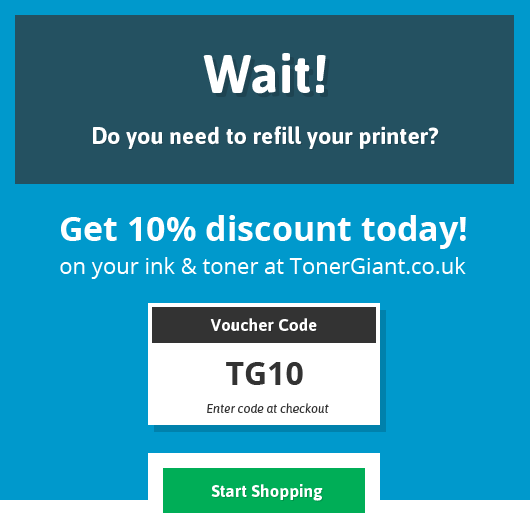 Alternatively, if you came in peace to buy cheap replacement cartridges for your printer, visit the TonerGiant homepage to browse our complete range of toner and ink.